After every Ballislife All-American game we take the team to Roscoe’s House of Chicken and Waffles in California. Why? Because fried chicken and waffles is the Michael Jordan & Scottie Pippen of food combos. 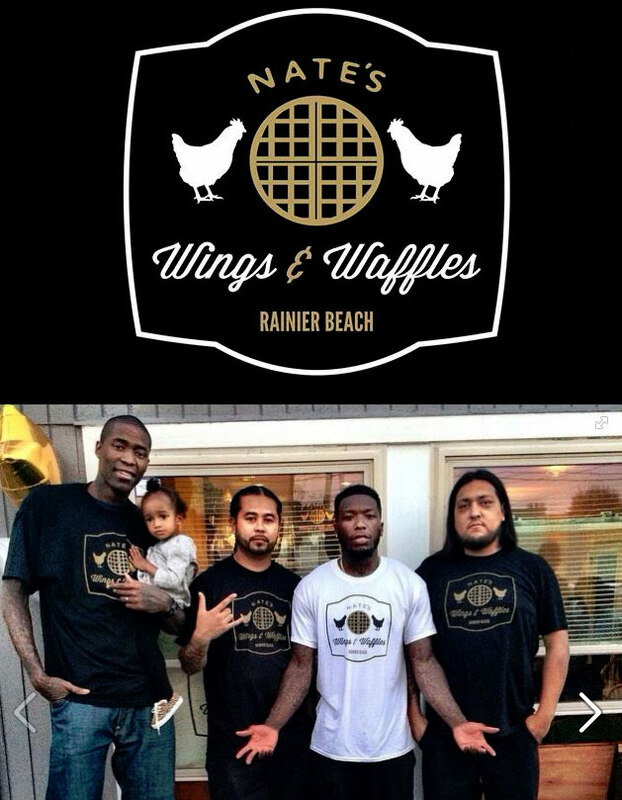 Since I’m in Houston, I go to The Breakfast Klub for my fix (as does a lot of Houston Rockets) and now I know of a place in Rainer Beach that i’m going to have to stop at next year during the Seattle Pro-Am: Nate’s Wings and Waffles. Yes, Nate as in Nate Robinson from the NBA and Rainer Beach High School. Nate, along with his brother, nicknamed “Chicken,” mother, grandmother, siblings and cousins run the family joint. I was looking at the menu and it’s not just the chicken and waffles that’s going to make me gain a few pounds. They have a Grilled Cheese Sandwich with Tillamook Cheddar, Havarti, & Brie topped with roasted red pepper aioli and mixed greens on a sourdough bread. Add a side of Onion Rings and a 2lbs order of wings with the coconut jalapeno lime sauce and I’m going to feel like I died and went to heaven…..or maybe just died and ended up in the ER but it sounds like it’s worth the trip.